This condo is located on the 2nd floor of this four story building, elevators and stairs are right down the hall from the unit. The view from the patio is of the community entrance and pool. 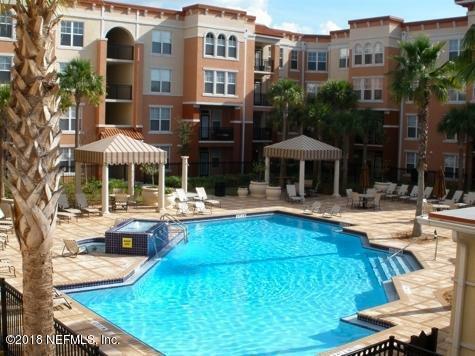 There is one assigned parking space in the parking garage for this condo.Enjoy a gated community with an urban flair where shopping, restaurants, and entertainment venues are within walking distance from your home. Resort-style amenities include gated access, swimming pool, built-in elevators, concrete block construction and private community parking garage.